On September 11, 2001, Klaus Reisinger is in Brooklyn when the first plane hits the World Trade Center. He borrows an old Nikon F2 from a friend and runs across the Brooklyn Bridge towards the smoke. 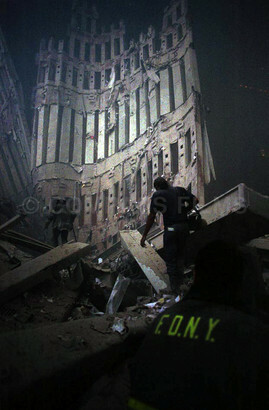 In the deserted ruins, he finds two firemen and a student who are searching for survivors minutes after the towers collapsed.